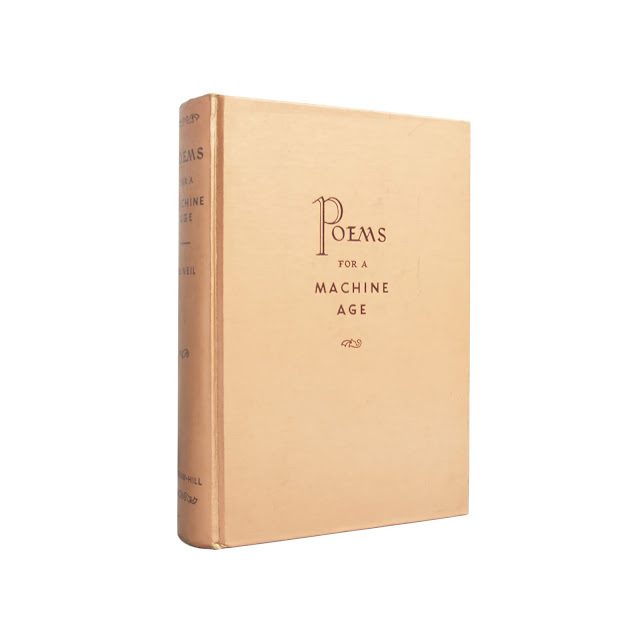 This collection of poems is bound in unusual bronze-colored boards, with dark brown lettering on the cover and spine. 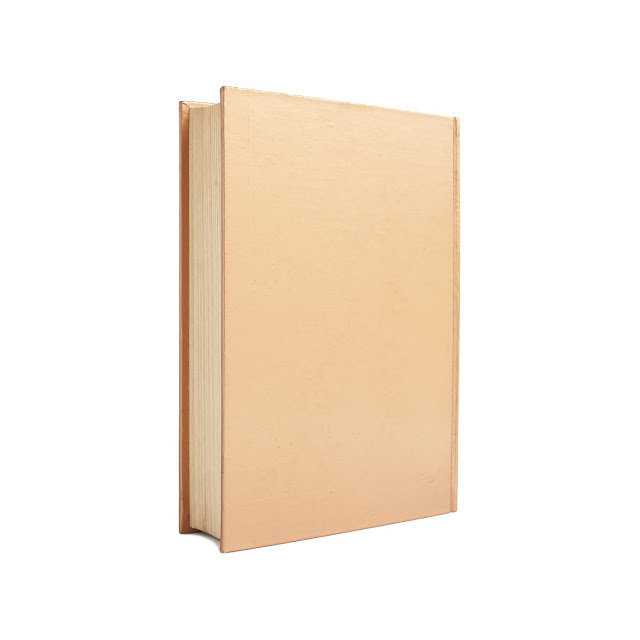 Cover are very clean, as are inside pages; book is slightly cocked, but binding is tight. 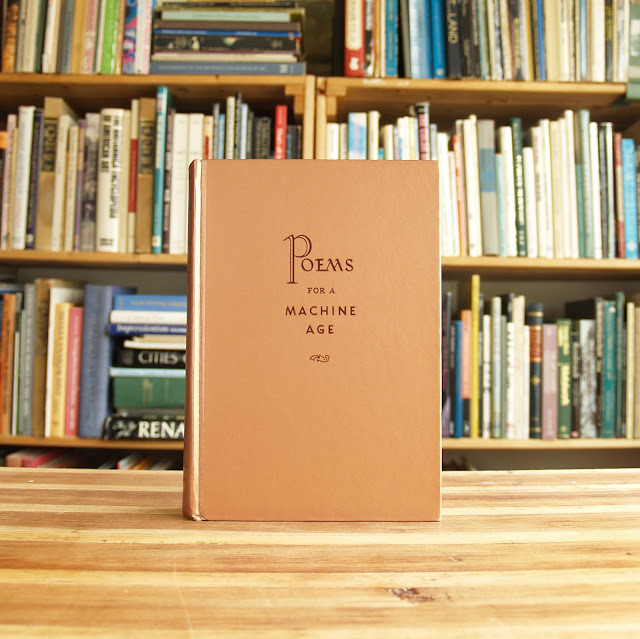 The book includes poetry from a variety of time periods that the editor explains "have a meaning for the modern reader in the light of his own experience." 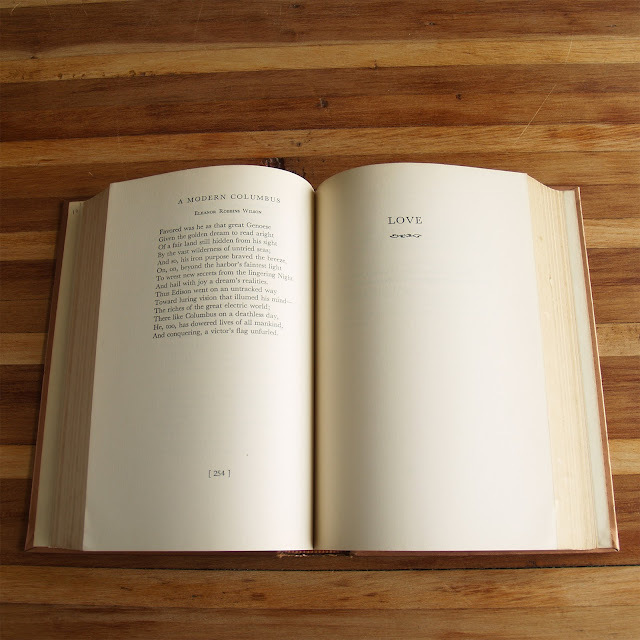 Includes well-known verse from Shakespeare and other classics as well as more modern writers. 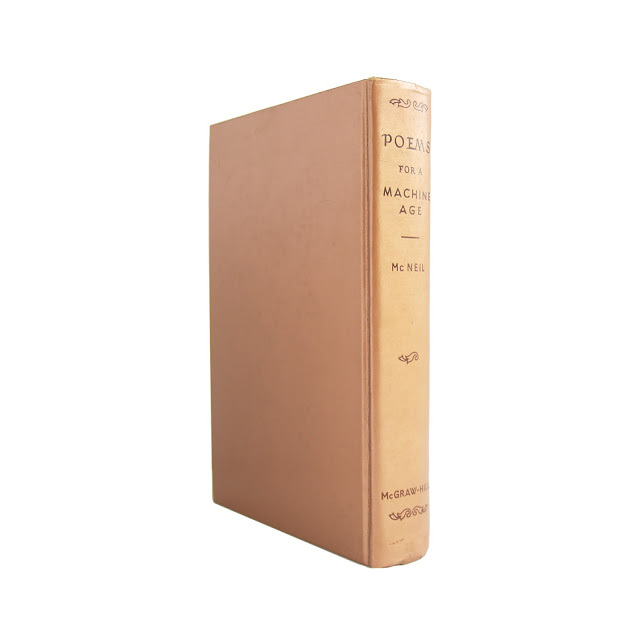 568 pages, including index; approx. 5"x8".